Should You Use Mobile Payments? Shopping isn’t what it used to be. For the first time this past Holiday Season, more people shopped online than in stores. People spent close to $5 billion dollars during this past Thanksgiving and Black Friday online, rising 14% from a year ago. Another trend is the use of mobile payments, using your smartphone to pay for products and services. According to research, nearly one out of five smartphone users will use it by the end of 2016. Mobile payments in 2015 totaled $8.71 billion and this year it is expected to more than triple to $27.05 billion. There are two main ways mobile wallets work: wireless technology called NFC or by scanning a code like a QR code. The most popular mobile payment apps are Apple Pay, Samsung Pay, and Android (Google) Pay which all rely on NFC. You upload your credit card or bank information to the app, and when it is time to purchase, select the credit card you want to use in the app, authorize it with your fingerprint, and then wave or tap your phone on the credit card device to complete the sale. For the apps, it depends on what type of smartphone you have. 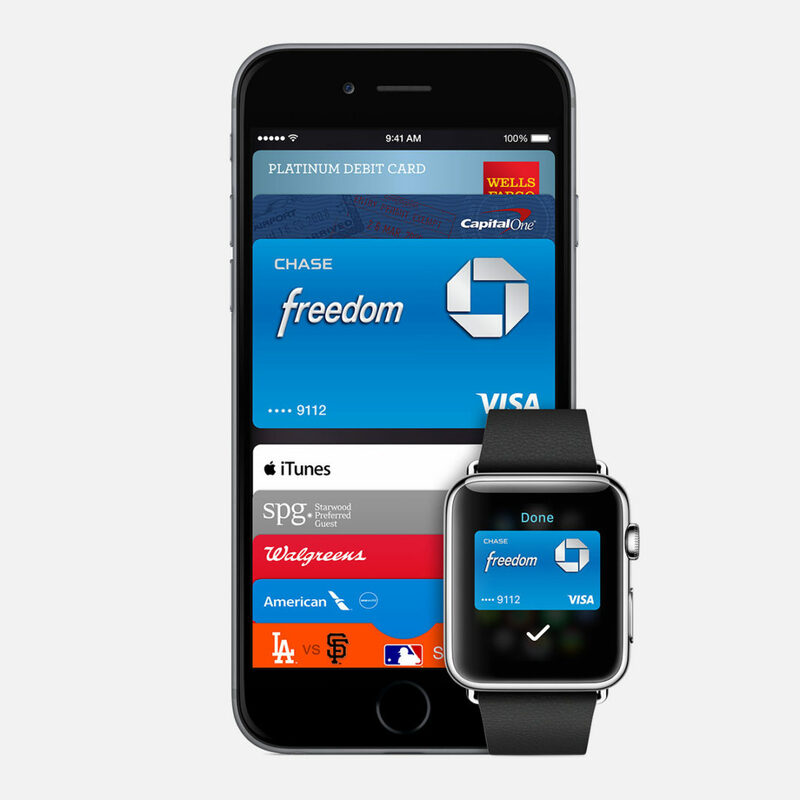 Android users can use Android Pay and Apple iPhone users Apple Pay. If you own a Samsung smartphone, you can use Samsung Pay in addition to Android Pay. The store or restaurant needs the new NFC equipment in order for this to work. Samsung Pay has a back-up where the phone can mimic the old-school magnetic signals produced by card swipes. With the popularity of mobile wallets, many others are also popping up with their version of mobile payments, such as Wal-Mart, Starbucks, and even banks such as JPMorgan Chase. Starbucks’ mobile app has over 16 million users that account for over 20% of its purchases. While Wal-Mart hasn’t launched yet, 22 million use the Wal-Mart mobile each month, accounting for half of its online orders. Wal-Mart’s new mobile payment system uses QR codes. Shoppers open up the app and then activate the camera function to scan a QR code. That connects the phone to the items they’re purchasing. Chase Pay will also rely on QR scanned by a register when it debuts next year. The biggest reason for the huge jump? Mobile payments are more convenient, have extra security features, and you don’t have to fumble for the right card in your purse or wallet with a cup of coffee in your hand. The apps are also preinstalled with every new smartphone now and more stores are switching over to the new technology every day. Another mobile payment option comes from a company called Coin, which has created a secure digital credit card called Coin 2.0 that consolidates all of your cards in one – including credit, debt, gift, and even membership cards. It has an electronic display with a single button to easily switch between your different cards. Having used Android Pay, Samsung Pay, Apple Pay, and Coin 2.0, each is convenient but not all digital wallets are the same. How safe are they and which ones should you use? Here’s a look at the different mobile payment systems and how they work. I have now moved completely over to using mobile payments and the Coin 2.0 card for every chance I get. Because of the nature of my businesses and travel, I use different credit cards depending on the expense and need to whip out my loyalty cards quickly. When it came to the Android and Samsung Pay, I couldn’t add all of my cards since many companies are not supported yet. I am sure more will be added, but the cards I used the most weren’t available for Android Pay, and some specialty cards would only go on Android Pay. Over Christmas I whipped out my phone to pay for a product and was told by the sales rep that they didn’t have the technology yet. Lo and behold while she was saying it I tapped my phone and the receipt popped out. She was shocked that her store had it and was amazed at how simple it was. She didn’t need to see my ID or the signature on the back of my card. I didn’t even need to sign anything! Unfortunately not all stores are taking them yet, so you will still need a backup card so you aren’t stranded not being able to pay. Apple Pay requires stores to have extra technology installed so it the most limited of them all. 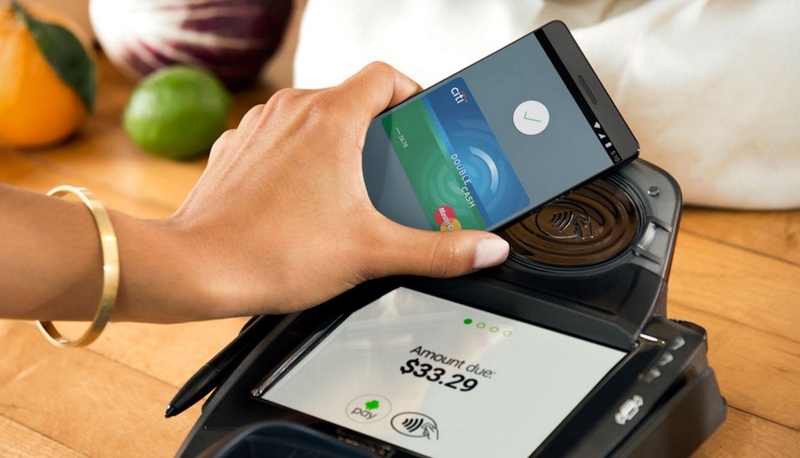 As of early 2016, only about 230,000 stores and restaurants carry it which is a small fraction compared to the over one million places that accept Android Pay. But Apple being Apple, it always has a way to make things very simple and elegant to use. For the Coin 2.0 I was able to upload all of my different types of cards (over 20!) by simply swiping your card onto the reader. Since you have the option to use Coin 2.0 as a regular credit card or as a mobile payment option, it is definitely the most versatile. The Coin 2.0 card can carry eight of your cards that you choose by syncing from your phone. Most probably don’t have that many that they regularly use, but it was convenient that I could access all of my cards from the mobile app and my most widely used one from the card. While using it at several stores, the Coin 2.0 card drew more surprise than the others. It would take some time for them to look at it, with one person asking how they used it. I told them to just swipe like they would a regular card. Over 80% of stores and restaurants accept the Coin 2.0 card which was a higher percentage than the other mobile payments apps thus far. Obviously, the biggest concern with mobile payments is security. How easy is it for hackers to steal your card information? Overall, I believe they are all safer. The apps use several layers of security features such as your fingerprint, pin code, and tokenization. Tokenization means after you authenticate with your fingerprint or pin number, the retailer receives a one-time generated credit card number specific to that transaction, instead of your real credit card number. This way, if there is data breach, your real card information remains secure since only the substituted number unique to the phone was used. Unlike regular credit card where hackers only need your card number and personal information. With the mobile apps, they will need the credit card number and physical possession of your phone, making it more difficult to make unauthorized payments. For security features, the Coin 2.0 card requires a unique tap code that you create to unlock it. You can also use the auto-unlock feature that requires your smartphone to unlock the card through a secure bluetooth connection as long as your card nearby. The card numbers stored in the app and card are encrypted. It also has a last known location security measure which will display on your mobile app the last known location of the card in case you lose or forget your wallet. Another interesting feature is the double rewards you can get using Coin 2.0, the rewards from your credit card, and the Coin rewards you can activate and receive by using it for purchases. Through the app, you can receive rewards, such as a $5 dollar Amazon gift card just by shopping at a particular store. Coin 2.0 for a limited time is 20% off. Click here to learn more. As the mobile payment space evolves and competition continues to be fierce to gain market share, companies are focusing on security and convenience. No system is foolproof but with hackers becoming more sophisticated, the extra security features that mobile payment brings is a step in the right direction.